Webster hosted Bobby Berk and Karamo Brown from the Netflix series, "Queer Eye." 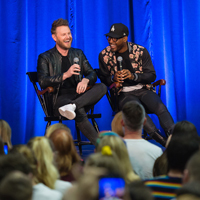 The St. Louis Post-Dispatch covered the visit to Webster University by Karamo Brown and Bobby Berk, stars of the popular Netflix series "Queer Eye." 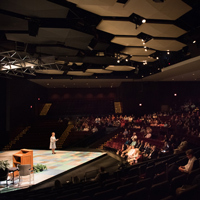 The article quoted President Elizabeth (Beth) J. Stroble, who said there was "no better place to be tonight," and noted that their talk was moderated by Vincent C. Flewellen, Webster's chief diversity officer. It also included several of Brown and Berk's answers to Webster students' questions. Photos accompanying the article were taken by Webster's manager of photography services in Global Marketing & Communications, Inocencio Boc. Read the article at stltoday here. The New York Times “36 Hours In…” series highlighted St. Louis, detailing must-see spots when visiting the home of Webster University since 1915. Among the activities the Times mentioned was seeing fantastic plays presented by The Repertory Theatre of St. Louis, which is housed on the Webster Groves campus of Webster University and perform in the Loretto-Hilton Center for the Performing Arts. Completed in 1966 and expanded in 2001, the Loretto-Hilton is also home to performances by Webster's Conservatory of Theatre Arts, as well as dance performances in the Hobler Center for Dance. Read the full piece at The New York Times online or in the April 4 print edition. 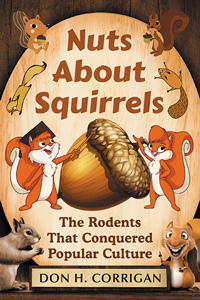 The St. Louis Post-Dispatch's Joe Holleman noted School of Communications Professor Don Corrigan’s latest book, “Nuts About Squirrels: The Rodents Who Captured Popular Culture," as Corrigan begins promotion for the book, which blends Corrigan's expertise both in communications and environmental journalism. Although "squirrel mischief" has shorted electric grids, invaded homes and businesses, destroyed the innards of autos and even transmitted a strain of the old Bubonic Plague. these rodents remain darlings of popular culture, advertising and public relations. They've been used everywhere from the legacy advertising of newspapers to the new social media of Twitter and YouTube, and continue to be featured around the world. Corrigan will give a presentation April 18 in Washington, D.C., at the annual convention of the Popular Culture Association. See the Post-Dispatch item here. 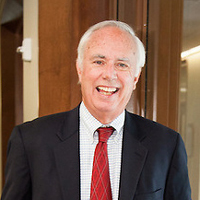 Professor Emeritus Jim Brasfield was the co-author of an analysis of the “Better Together” proposal that would merge St. Louis City with St. Louis County. Brasfield was quoted in a St. Louis Post-Dispatch story about the analysis, saying Better Together has overstated the potential financial benefits of a proposed merger. He is part of a nonprofit that has advocated better collaboration, rather than full consolidation, among the city and municipalities in the county. Read the Post-Dispatch story here.